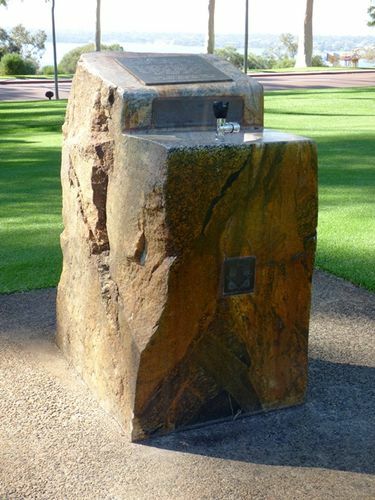 A fountain commemorates the centenary of the Perth Water Supply. Mount Eliza is a hill which overlooks the city of Perth, Western Australia and forms part of Kings Park. In 1890 450 acres of land adjoining Reserve 11A was added to create Reserve 1720 as 'Public Park, Mt Eliza'. Construction of the Mt Eliza Reservoir for Perth's water supply commenced on land excised from the Park. On 1 October 1891 Victoria Dam, Located In The Darling Range, Was Officially Opened And For The First Time Water Was Piped Into A Reservoir Sited On The Hill Behind This Spot. Perth Still Receives Some Of Its Water From This Scheme.